Pretzel Buns with your choice of topping. Great for hot dogs or sausages! Pretzel Knots with your choice of topping. Great for sliders or snacks! Pretzel Croissants: plain or ham and cheese filled. Hot Dogs wrapped in pretzel dough with your choice of topping. If you'd like to place an order, please fill out the following form and Pretzelina will contact you to finalize details and confirm the order. No order is guaranteed until you have been contacted by phone and your payment has been made. Wholesale pricing is available. We require a minimum of 7 days notice for any order. A trip to Oktoberfest and it was love at first bite! I wondered, why is it so hard to get pretzels like this in the United States? After researching ingredients, experimenting with recipes and perfecting my twist, Pretzelina is founded in the hills near Noe Valley in San Francisco. As Germany has already figured out, people love to drink a beer with their pretzel! 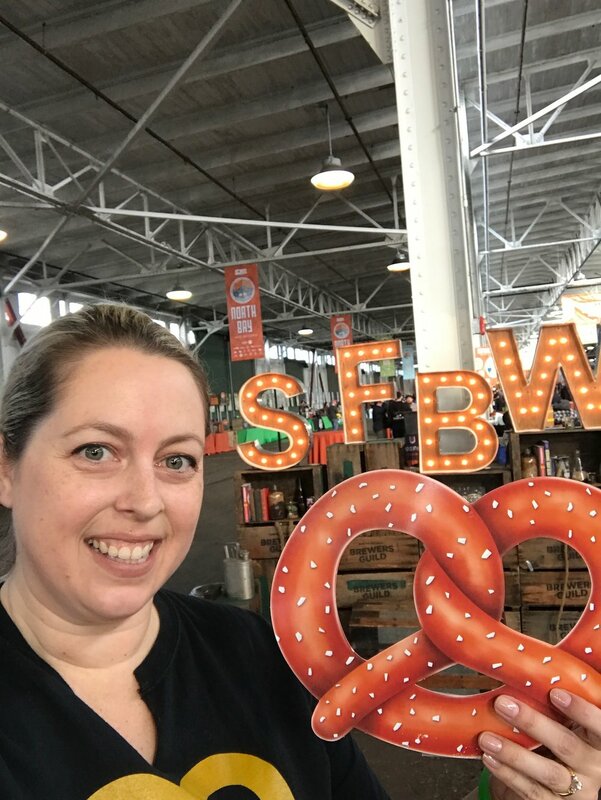 Pretzelina can be found at events like SF Beer Week, at local craft breweries, and at pop-ups around the city.